After I fixed and replaced my husband's CPU last year due to some Hardware problems, I have a spare of Hard drive that I can make it a slave and use as another way of data storage. I love troubleshooting, although I don't know at first exactly what I am doing. It's come to my sense that learnings I had during my College days, get rusted because I seldom use nor troubleshoot things at home. Yes! I don't work for now. I have the old methods to hook the HD to a device, all those cables and such, however, I figured out that having a nice docking station would make things even better and faster to carry, also less cables to attach. I have the opportunity to work on a USB 3.0 Super Speed to SATA, Model No. HDDT1BSA. I would assume this makes things perfect for my spare Hard drive. This is a 2.5"/3.5"Single Bay HDD docking station. The package arrives in the mail without no signs of damage. Everything is intact and no dents inside or outside the merchandise. 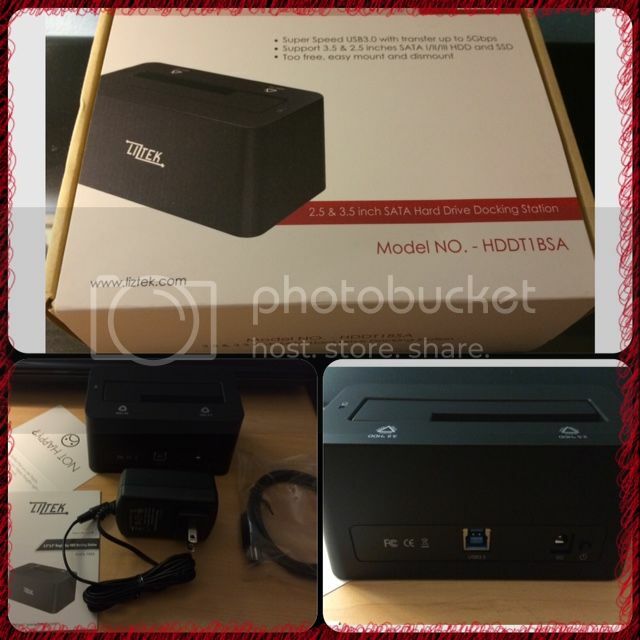 Inside the box are the following: User's Manual, HDD Docking station, USB 3.0 data cable, and Power Adapter. The installations or process of using the docking station is very simple and quick, take note no tools needed and no driver to install. The manual will share you all the information that you need to learn in order to prevent of using the docking station incorrectly, instead to use it the proper way. I love the independent design of power supply for stability. It's lightweight, and just love the exquisite style. After I install the data cable and power adapter to the docking station, of course I need an HD to make it work. I placed the hard drive, we have which I set into slave in order for it not to interfere with my system. It was very quick, it reads and it connects to my computer easily. I transfer data through the USB, very convenience to operate and love the speed, cause I don't need to wait FOREVER to transfer my files from my computer to the drive. The Hardware system requirements should have a USB 3.0 PC/MAC and can work in an Operating system of Windows 2000/XP/7 or above, MAC OS or above. Overall, my experience with the docking station is wonderful. Helps me maneuver to transfer my files from my computer to the hard drive or vice versa very quick and simple and plus it makes things even neater and easier.